Ellie, Summer and Jasmine still have to find one more ingredient if they’re going to save King Merry from being stuck as a stink toad forever. But mean Queen Malice is also lurking around, and she’s determined to keep the girls from curing him. Can the girls outwit Queen Malice, find the last ingredient, and get the potion to King Merry – before it’s too late? 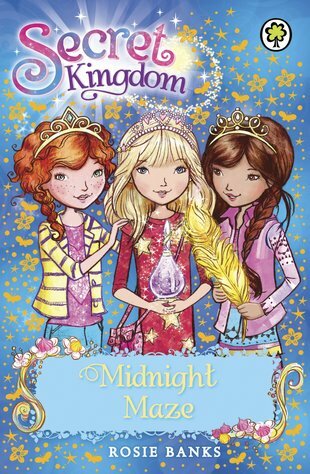 This book is about three girls named Summer, Jasmine and Ellie. They are on a quest to find one more ingredient for their potion for King Merry. There is a queen named Malice and basically she is evil. The girls must defeat the queen before King Merry gets turned into a toad. Near the end, the girls stop the queen but King Merry says that she will be back for another wicked plan. This book isn’t the best book I have read because it was a little bit obvious that Queen Malice was going to be defeated. Anyway, I recommend this book for 8-10 year olds and so this book is 3/5 – okay.